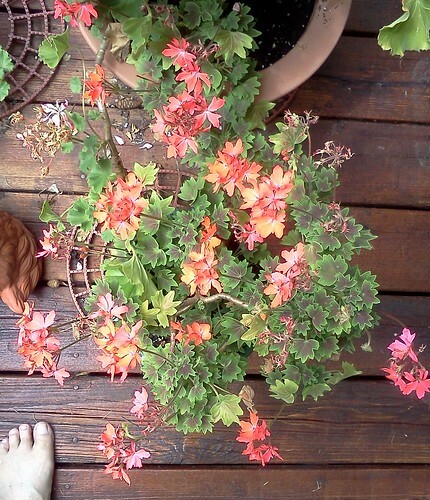 Today's task was to remove the spent and nearly spent flowers on all the deck plants. 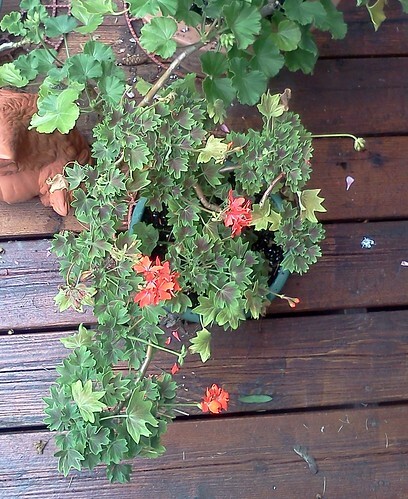 The salmon geranium was festooned with flowers. After trimming off all the spent blooms and the ones that were nearly done, there weren't many flowers left. This is necessary so the plant will continue to produce flowers. I also turned all of the flower pots so the flowers will add growth on the other side. Later this week, I should feed all of them. I think there's Miracle Gro in the basement. That will make them flourish as we head through the rest of summer.